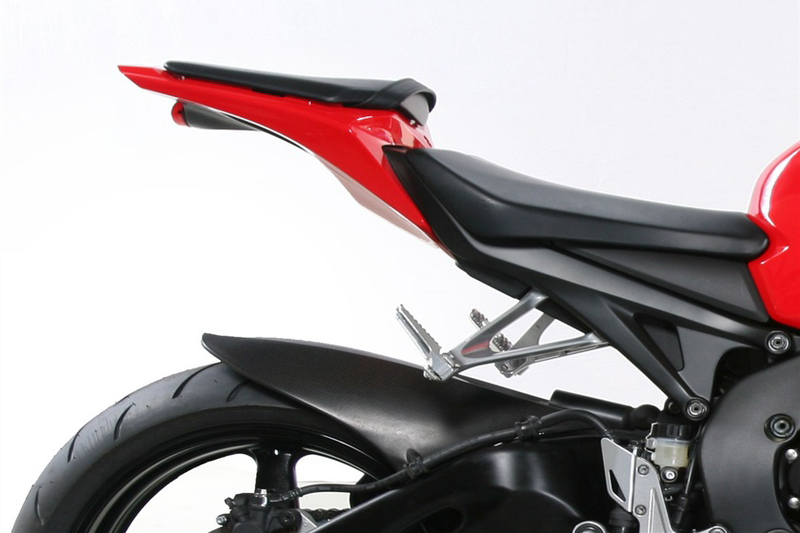 Look at any top level Superbike or GP bike and you will always see a full enclosure rear fender. The main benefit is reducing aero dynamic drag plus keeping unobtainium shocks safe from flying debris. Our superbike fender for the Fireblade is designed first and foremost to reduce drag but John Keogh couldn’t resist making it look really cool too. Constructed from carbon fibre this fender is the highest quality available. Sized to fit wide 200 section rear doughnuts our fender is a genuine Factory racing part. 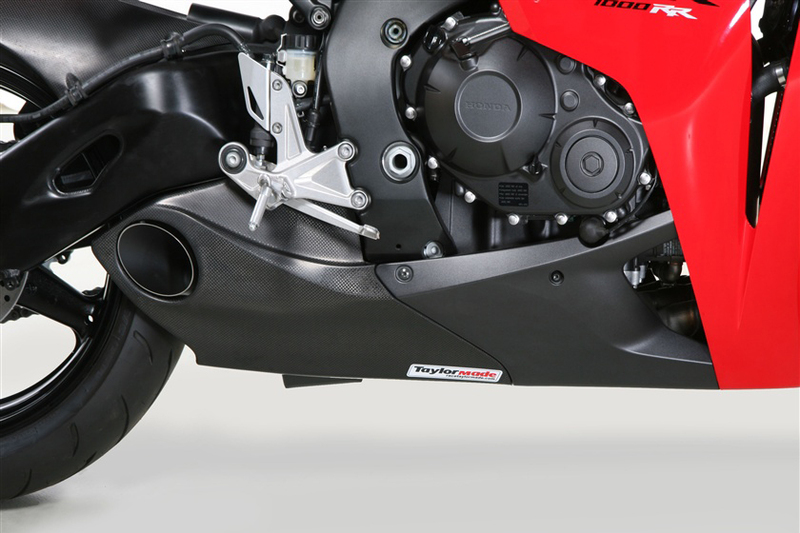 Look at any top level Superbike or GP bike and you will always see a full enclosure rear fender. The main benefit is reducing aero dynamic drag plus keeping unobtainium shocks safe from flying debris. 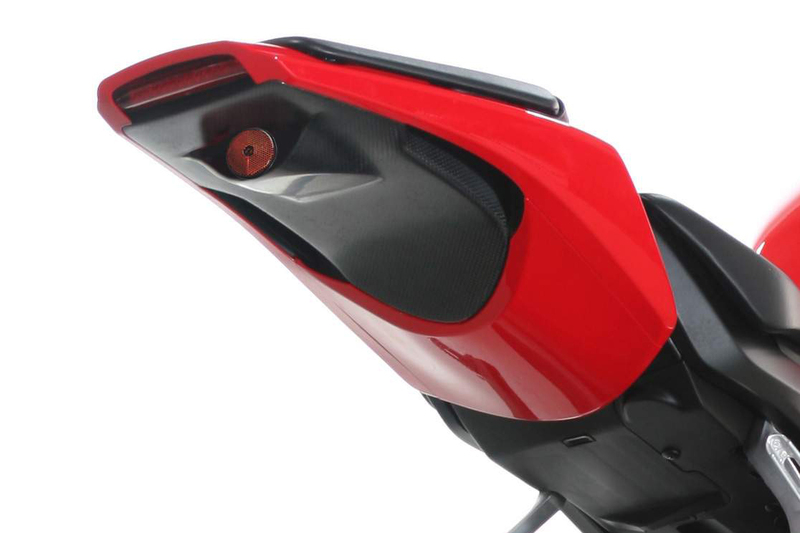 Our CBR1000RR hugger for the Fireblade is designed first and foremost to reduce drag but John Keogh couldn’t resist making it look really cool too. Constructed from carbon fibre this fender is the highest quality available. Sized to fit wide 200 section rear doughnuts our fender is a genuine Factory racing part. Please Note: This is a racing part, and designed to be as light as possible. The surface is uncoated and will not have the finish of a clearcoat although should have a smooth surface. This is the natural surface of the carbon fiber. Customers desiring a show finish will want to have the part clear coated. 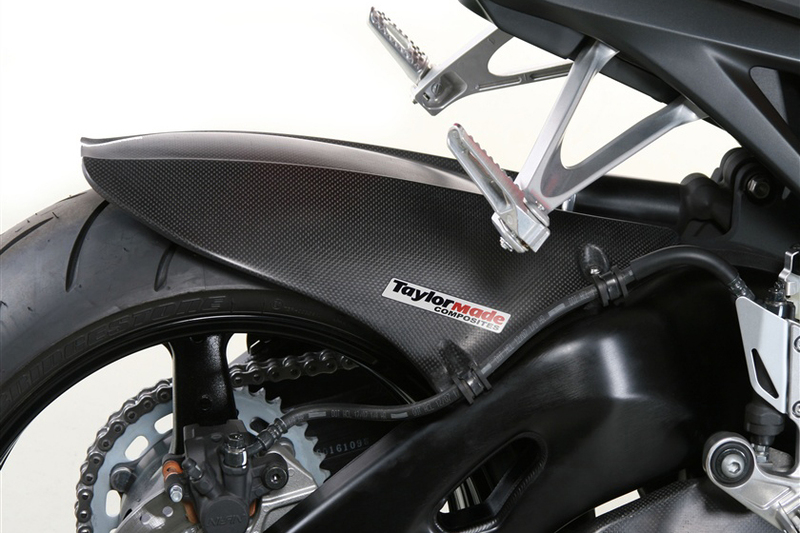 I am the proud owner of a Taylor Made rear hugger and slip-on exhaust system for my 2008 Honda CBR1000rr. Both of these products have really made my bike stand out from the crowd and the exhaust system has increased my bikes performance while turning heads everywhere I go! The Taylor Made customer service also needs to be commended. In all of my years as a consumer, I can honestly say that Taylor Made really cares about its customers and their satisfaction. I plan on adding more Taylor Made products to my bike as they are developed. Top quality stuff with the customer service to back them up.